Recent studies have opined that each night, the advisable time duration for sleep, should be at least eight hours. Any time more than that is bad for your health. It is a popular notion that less sleep time is dangerous for the health, but research have proved that the opposite could impact health negatively too. Studies carried out in the premier university in California, university of California, have concluded that a wide range of problems can be gotten as a result of sleep spanning up to nine to ten hours. These problems include insomnia, feeling tired after waking up, difficulty staying sleep and other health problems. In the study, it was observed that the ‘eight-hours’ sleepers are not troubled by much health issues, but the ‘7-hours’ sleepers were plagued with numerous sleep disorder including insomnia and waking up from sleep feeling incredibly fatigued. The issue of sleep have not been received much studies in the preceding years but the outcome of these studies is that not sleeping much – less than 7 hours of sleep – shortens your life expectancy. 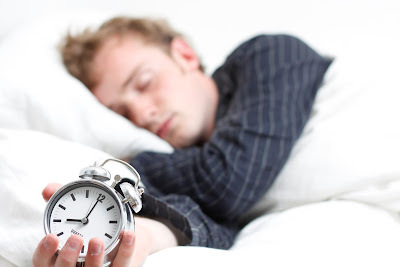 This study was carried out by presenting a sleep questionnaire to a thousand and four adults, asking them on the number of hours they slept every night, how easy they fell asleep, whether they woke up at night, whether they had woken up early in the morning and if they could get back to sleep again and if they they felt tired throughout the day. At the end of the research, it was finding was that those who had more than eight-hours sleep had experienced a host of the entire sleep disorder listed on the questionnaire than those whose sleep time span seven to eight hours. It was also noted by one of the researcher that those who had slept for more than eight hours found it difficult to sleep as a result of the long time they had spent in bed. According to the study, a good way of curbing insomnia was ‘spending less time in bed’. Depression was traced to sleeping for longer hours at the end of the research.